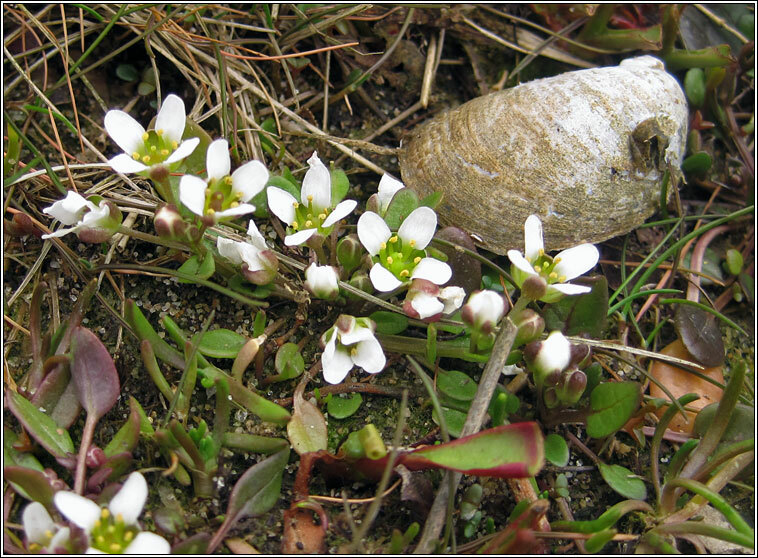 Habitat: Can be locally common on salt-marshes and on firm mud near high-tide mark. 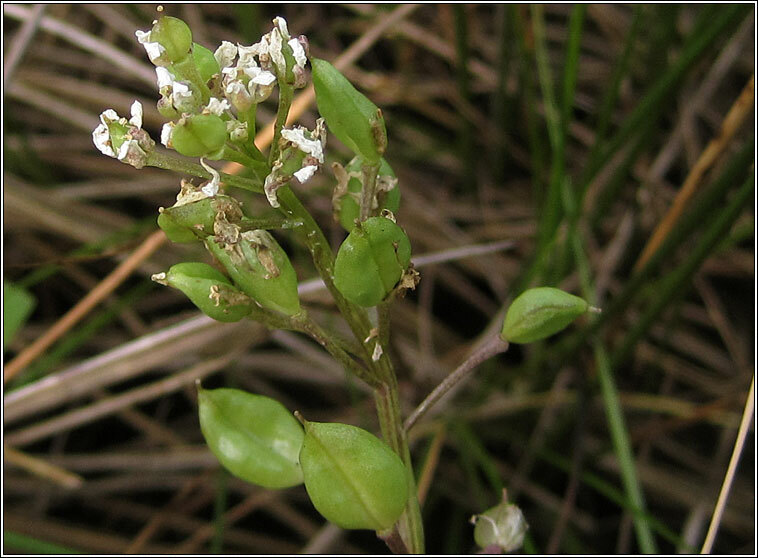 Less frequent than Common Scurvy-grass, and not found inland. White four-petalled flowers are followed by flattened, blunt-tipped fruit. 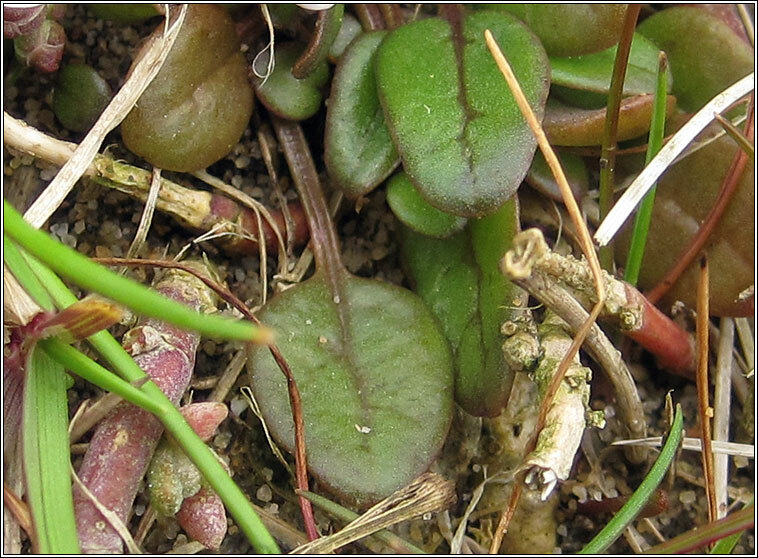 Stem leaves are stalked or clasping, the basal leaves tapering to stalk. 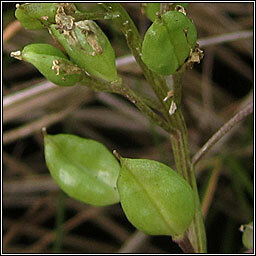 Similar: Common Scurvy-grass, C. officinalis. Basal leaves are kidney or heart shaped, seed pods rounded.